GENEVA, November 30, 2015 � Despite prior promises by UNRWA, the Palestinian relief agency, to put an end to online incitement by its teachers, numerous UNRWA teachers are still inciting to Palestinian knife attacks against what they describe as �Jewish apes and pigs,� and should be fired, according to a new report issued today by UN Watch, the Geneva-based watchdog group. See full report below. �UNRWA's reported temporary suspensions of offenders are not working. Giving a slap on the wrist sends the message that it's business as usual. Instead, those who incite to racism or murder should be fired, under a zero tolerance policy, just as the UK government recently banned a teacher from the classroom for life over an anti-Semitic Facebook post,� said Hillel Neuer, executive director of UN Watch. UN Watch submitted the report today to UN Secretary-General Ban Ki-moon, UNRWA chief Pierre Kr�henb�hl � as well as to EU foreign affairs commissioner Federica Mogherini, and US Ambassador Samantha Power, whose governments are the top funders of UNRWA. �The UN and top funders of UNRWA such as the US government must act immediately to terminate employees who are inciting murderous anti-Semitism and fueling the deadly pandemic of Palestinian attacks against Israelis that have claimed lives of innocent people,� said Neuer. �UNRWA's strategy of impunity, denial and deflection only enables more incitement and violence. 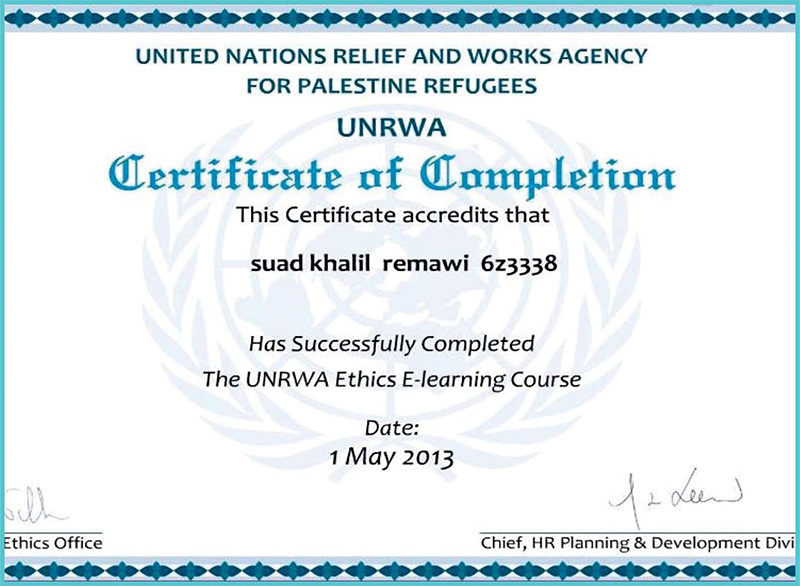 It's time to stop the practice of UNRWA school staff members posting antisemitic and terror-inciting images, a recurring theme that suggests a pathology of racism and violence within UNRWA, one that must be rooted out � and not buried, as UNRWA spokesman Chris Gunness has attempted to do by calling for boycotts of newspapers or of NGOs that dare to report these incidents of hate,� said Neuer. �We urge the UN to declare that these despicable posts, published on Facebook accounts run by people who openly identify themselves as UNRWA officials, constitute a violation of UNRWA Staff Regulations, and of the International Covenant on Civil and Political Rights, � said Neuer. �UN Watch makes a fool of itself � Credibility dead in water. Will anyone believe them again�?